class="post-template-default single single-post postid-285890 single-format-standard group-blog masthead-fixed full-width singular wpb-js-composer js-comp-ver-5.7 vc_responsive"
CEDAR KNOLLS, N.J., — With more than 25 years in the business, Eggland’s Best (EB) is known for its highest standards in taste, nutrition, freshness and quality – and now the brand is sharing its expertise with backyard chicken owners nationwide. The new line of Eggland’s Best Chicken Food and Chick Food features the same wholesome, all-vegetarian formula used by EB egg farmers. The formula consists of premium ingredients rich in 15 vitamins and minerals that helps hens be healthier and of course results in healthier eggs too. Multiple varieties will be available for both chickens and chicks, including a USDA certified organic option made with Non-GMO Project Verified ingredients. Eggland’s Best unique chicken food formula consists of a proprietary all-vegetarian blend of healthy grains, canola oil, and a supplement of rice bran, alfalfa, sea kelp, and Vitamin E, resulting in higher amounts of omega 3’s as well as 15 different vitamins and minerals crucial for supporting the overall immune health, bone, muscle and overall development, energy, eye health, egg production and metabolism of backyard layers. Just like all other Eggland’s Best products, EB Chicken Food never contains any animal by-products, recycled or processed foods, and never uses hormones, steroids, or antibiotics ever. Feeding backyard layers Eggland’s Best Chicken Food not only helps keep hens healthier, but also produces superior eggs with six times more vitamin D, 25 percent less saturated fat, more than double the omega-3s, ten times more vitamin E, and more than double the amount of vitamin B12 than ordinary eggs. The premium ingredients within the chicken food also help produce stronger shells and consistently plumper eggs with more vibrantly colored yolks than ordinary eggs store-bought eggs, so consumers never have to settle for ordinary. 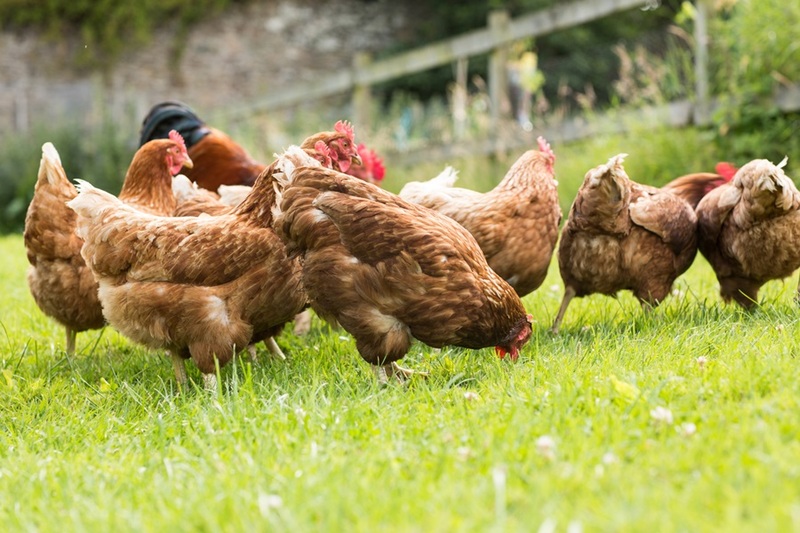 Eggland’s Best Chicken Food is now available at select farm supply, pet, mass merchandiser and grocery retailers nationwide, including Tractor Supply, Co.. Eggland’s Best Chicken Food comes in crumble and mini-pellet varieties and in multiple sized bags. Eggland’s Best Chick Food is available in crumble form and in multiple bag sizes as well. There are Organic versions of both Eggland’s Best Chicken Food and Chick Food.